Coats and jackets are foundation pieces of any trendsetting women’s wardrobe. Tight-fitting HAGEN coat is an absolute must-have in terms of creating your own image. Made with superb craftsmanship and finely hemmed, this collarless elongated style is all the rage this season and is very likely to remain so for a plenty more to come. Made from high quality wool containing come cotton. The garment features an unconventional jacquard-weave fabric whose rough texture contrasts nicely with the minimalist design, and the blend of fibres assures softness and is pleasant to the touch. Two sliding pockets in the side. Hidden button placket to held the piece together and keep its minimalist character. A glittery thread introduces a spark into this proposition which remains unparalleled in terms of its superb craftsmanship and attention to details. 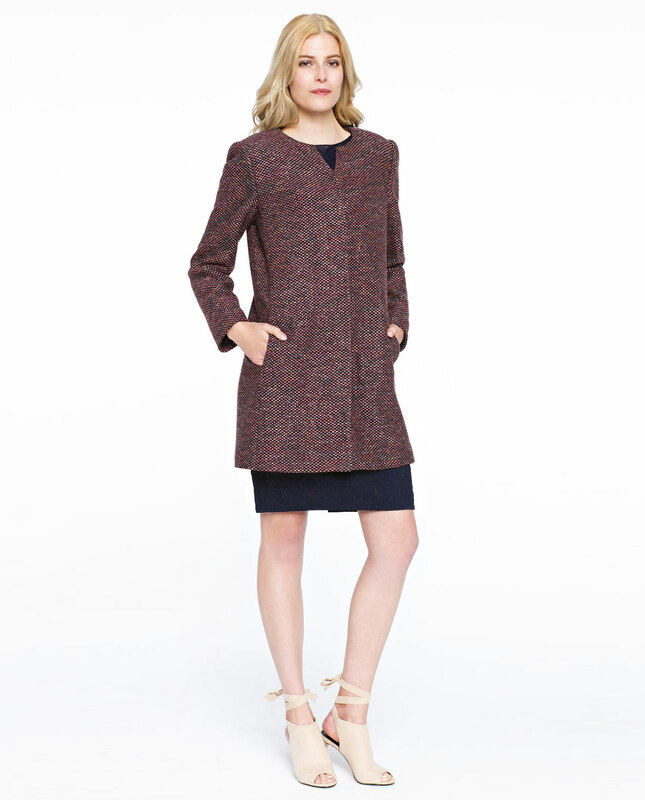 Simple midi cut leave room for creativity: HAGEN coat can also serve you well as outerwear for a number of both casual and elegant looks. Also, it will play nicely with trousers: go for your favourite pair of jeans or else smart pleated suit trousers.